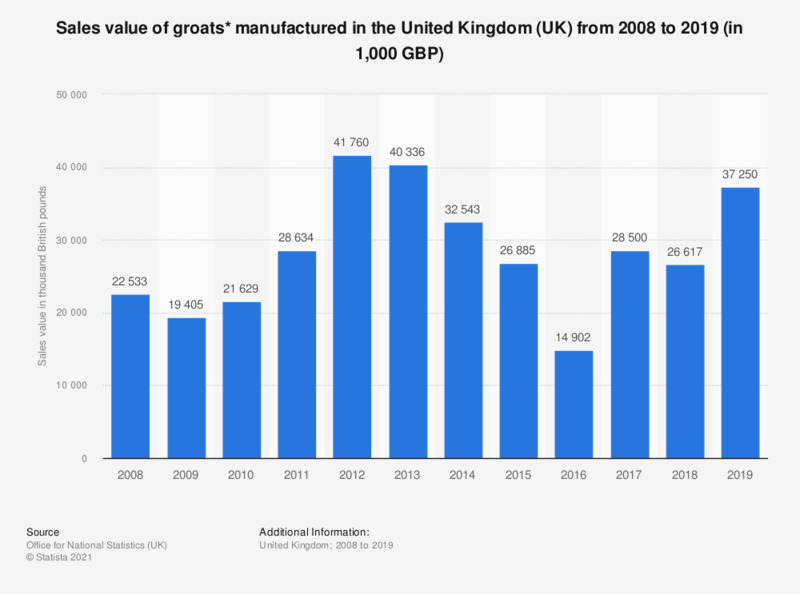 This statistic shows the total sales value for groats manufactured in the United Kingdom (UK) from 2008 to 2017. In 2017 the sales value of groats increased to approximately 21 million British pounds. * Groats and meal of oats, maize, rice, rye, barley and other cereals. Excluding wheat. Intermediate estimate (final estimate yet to be released). Based on PRODCOM (PRODucts of the European COMmunity) survey of production. How much are you going to spend on whole grain food products in 2019?